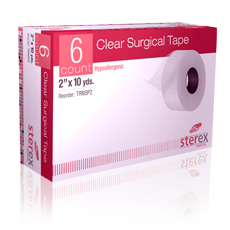 Sterex Medical plastic tape is a transparent polyethylene film tape with strong adhesion and a bi-directional tear. It is perforated to promote greater skin breathability and is hypoallergenic. 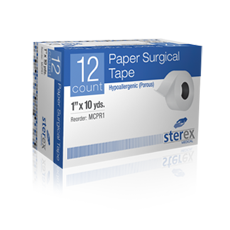 Sterex Lightweight breathable paper tape is ideal for securing bandages or dressings that must be changed frequently or any use that requires repeated applications on sensitive or fragile skin sometimes found with elderly patients.